It was great to see Chicago go green post St. Patrick's Day, with the annual Green Festival. Du-Jay again enjoyed a people power bike ride with Working Bikes. It's fun to see the pedaling create enough energy to make a little bike go around the world, spout water from a mermaid rain barrel or play a record! We also saw our old favorites, Coco Loco, who will also be at Summer Camp Music Festival again. I wear 2 pairs of their earrings pretty much 24/7 and Sagezilla also has a spiral pair she often wears when not actively doing gymnastics. We also saw the booth that makes old banners into super cool wallets and bags, like my favorite one that resembles the Chicago flag....and a certain blog header. We saw some familiar faces like igo car sharing. We were a little peeved that Du fairly won a free year's membership in their booth game, but they wouldn't give it to us, since he's too young for a driver's license. As if most of my time in the car isn't spent driving the kids to their activities! They could have given it to the family and I would have blogged about car sharing for a year. Instead, they gave him a lousy free bus schedule as a consolation prize. Ah well. Their loss. The kids' area was simple, but fun, with live reptiles, worm bins, crafts and books. It was fun to see a garden growing in the back of a pick up truck. It was great to see Green Parent Chicago represented, as we're friends of the founder, Christine, and I freelance write for them as well. We also saw another old friend, John, who heads up the annual Vegan Mania. 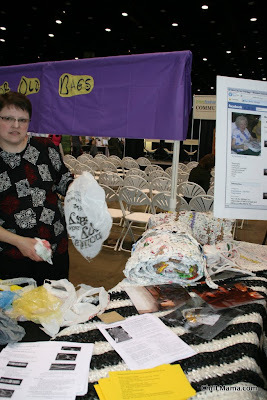 One of our favorite booths demonstrated how one woman's vision of giving the elderly something significant to do to feel useful has turned into a huge enterprise, hand making plastic grocery bags into mats for the homeless to sleep on. Check 'em out here at NEW LIFE FOR OLD BAGS to donate or see how you can get involved. We even met a dancing polar bear, who was the hit of the party at the music and culture stage. Later, that hot polar bear was seen sweating amid the melting polar ice caps. Want more eco in your life? On Memorial Day "How to Be a Superhero for Planet Earth" is at the Peggy Notebaert Nature Museum. It's for K - 3rd graders and it's free with admission. It's a fun and interactive program that empowers kids to make a difference for the planet. 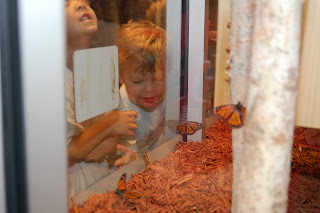 Insect lovers across the Chicagoland area will get a chance to watch live Monarch butterflies grow from eggs to fully developed adults this summer when Kohl Children’s Museum of Greater Chicago launches its Watch Us Grow: Monarch Butterflies exhibit, Tuesday, May 24. The exhibit runs through Sunday, Sept. 4. By comparing live specimens with larger than life models, Chicago’s youngest museum-goers will learn about the four stages of butterfly development and explore how animals change and adapt through the metamorphosis process. Exhibit signage explains the egg and caterpillar stages of butterfly growth, and live specimens of pupa and adult butterflies demonstrate the final two stages of growth. This dynamic and interactive exhibit will give kids a chance to get up close and personal with one of nature’s prettiest bugs, which also happens to be the Illinois state insect. 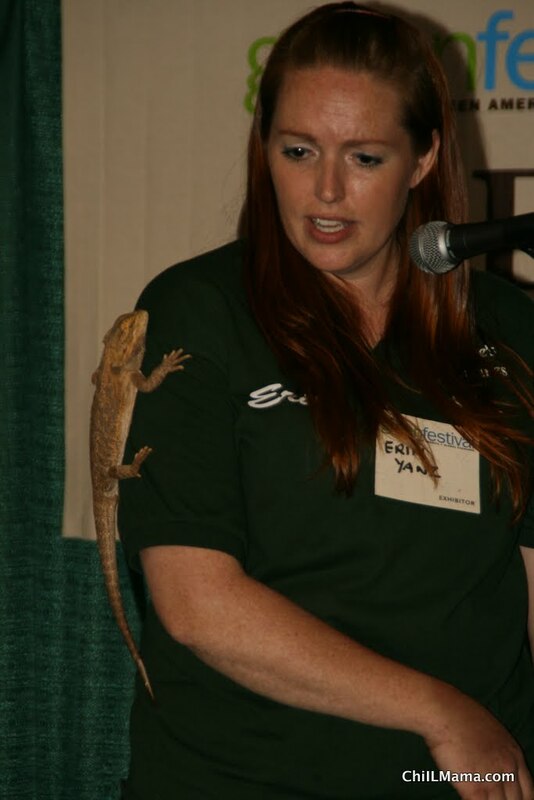 The exhibit is generously underwritten by Anderson Pest Solutions for the third consecutive year. The largest family-owned pest solutions company in the Midwest, Anderson is dedicated to environmental protection and committed to reducing and eliminating the use of pesticides in favor of natural solutions to pest problems. The Museum will also recognize Anderson’s commitment to being “The Natural Choice®” in pest management by building a special bench by the main Museum entrance that will be decorated with beautiful sculptures of insects crawling and resting on the bench. In recognition for its outstanding exhibits and impact on Chicagoland families, Kohl Children’s Museum was recently named one of the country’s Ten Best Children’s Museums by Parents Magazine. Offering 17 interactive, hands-on exhibits for children ages birth to 8, the museum’s mission is to encourage young children ages birth to 8 to become effective learners through self-directed complex play. Kohl Children’s Museum was ranked sixth out of more than 300 children’s museums nationwide and was the only Chicago area museum recognized. Kohl Children’s Museum is located at 2100 Patriot Blvd., in Glenview, Ill. at the corner of Patriot Blvd. and W. Lake Ave. in the newly redeveloped area known as The Glen. The Museum can be easily reached by public transportation, including Pace bus and Metra trains. For more information, visit the Museum’s website at www.kohlchildrensmuseum.org or call (847) 832- 6600. The Museum is open on Monday from 9:30 a.m. to 12 p.m., Tuesday through Saturday from 9:30 a.m. to 5 p.m., and on Sunday, 12 p.m. to 5 p.m. Special members-only hours are from Monday through Saturday, 9:00 a.m. to 9:30 a.m. Admission prices are $7.50 for children and adults and $6.50 for senior citizens. Children under 1 year old and members are free.